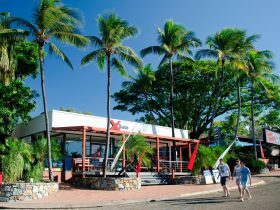 Nomads Airlie Beach is the perfect place to stay before or after a trip to the Whitsunday Islands. 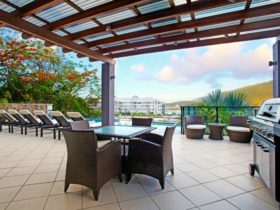 Located right in the heart of Airlie Beach opposite the famous swimming lagoon, Nomads is no more than 50 metres away from all that Airlie Beach has to offer. 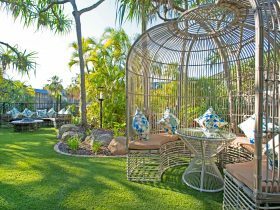 Set amongst seven acres of tropical gardens abundant with native flora and fauna, Nomads Airlie Beach offers luxurious Melanesian style accommodation at affordable backpacker prices. 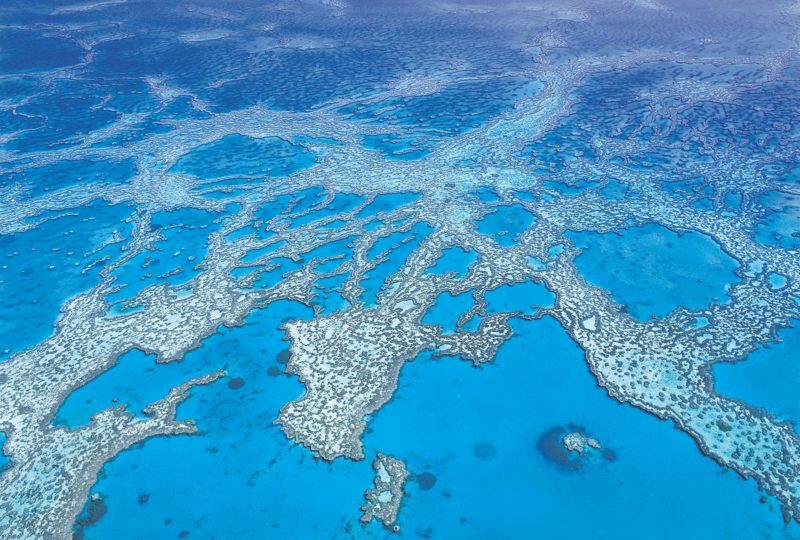 Every room has an ensuite, individual reading lights, and air-conditioning to keep you cool in the tropical heat. 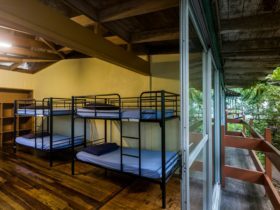 You can choose to stay in a dorm room, a private room, a family room or even camp! 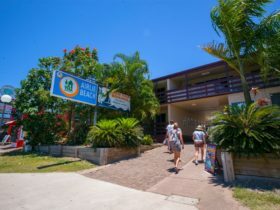 Nomads Airlie Beach is the only backpackers hostel in Airlie to offer proper camping facilities in town! 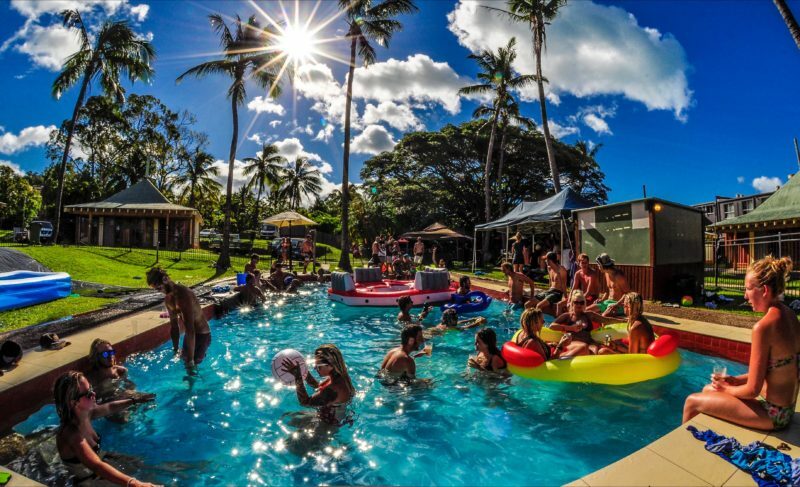 They have a range of camping options including tent spaces and powered and non-powered sites to park your van up for the night so you can take advantage of all the great facilities onsite and some famous Aussie hospitality! Eight bed mixed shared dorm room with it’s own ensuite bathroom with two showers. Air-conditioning, linen included and a view of the pool. Eight bed shared dorm for women only. 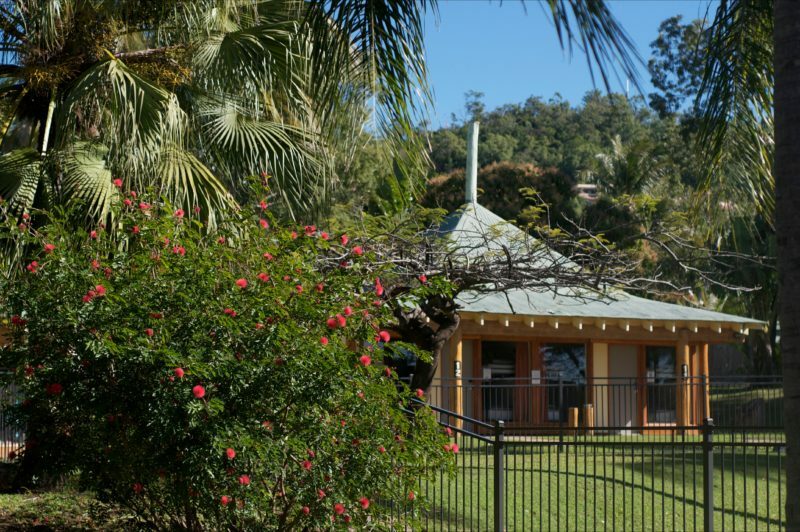 Has it’s own ensuite bathroom which has two showers, all linen provided, air-conditioning and a view of the pool. 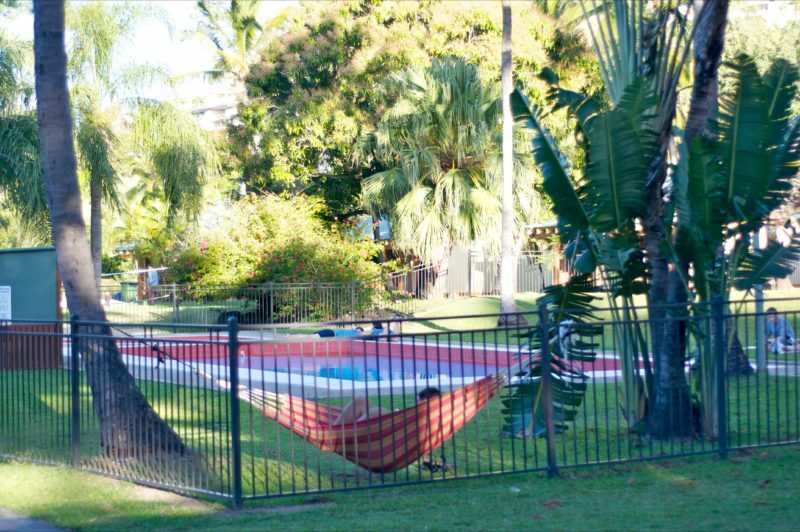 Spacious six bed room comes with fresh linen, air-conditioning, ensuite bathroom and is set in theirr tropical gardens. Private King Room with Ensuite bathroom, keycard access, fresh crisp linen. Prices dependent on season. From shared dorms to private accommodation.